Rise above the rest. 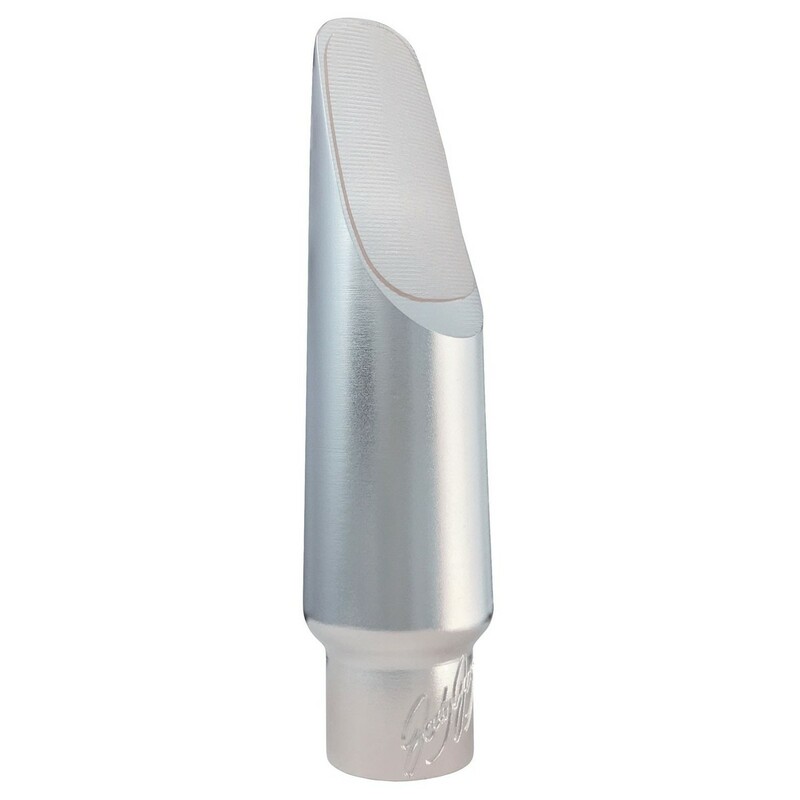 Ensure you can always be heard with the JodyJazz Super Jet 9 alto mouthpiece. Made from quality brass and plated with sterling silver, the Super Jet mouthpiece will enable you to effortlessly take control of the altissimo register. Brighter, bolder, and more powerful than ever. 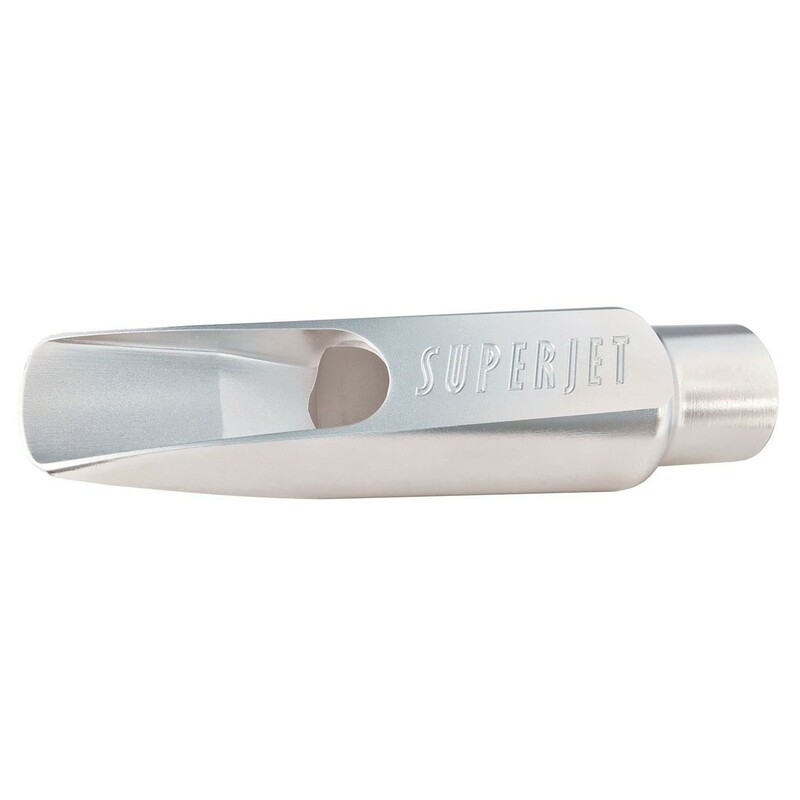 Perfect if you play jazz, rock, or latin, the Super Jet alto mouthpiece will let you soar over your band when needed. And when not, the Super Jet is free-blowing enough to let you take control of more intricate ensemble work. To ensure you have the best possible experience, your mouthpiece will be gauged and play tested by an experienced professional before it is dispatched. Included with the Super Jet mouthpiece is a Rovner Star Series ligature, cap, and a deluxe JodyJazz pouch to keep your mouthpiece safe when not in use. Based on the popular Jet mouthpiece, the Super Jet has a small chamber that produces a bright and free blowing sound with excellent projection. 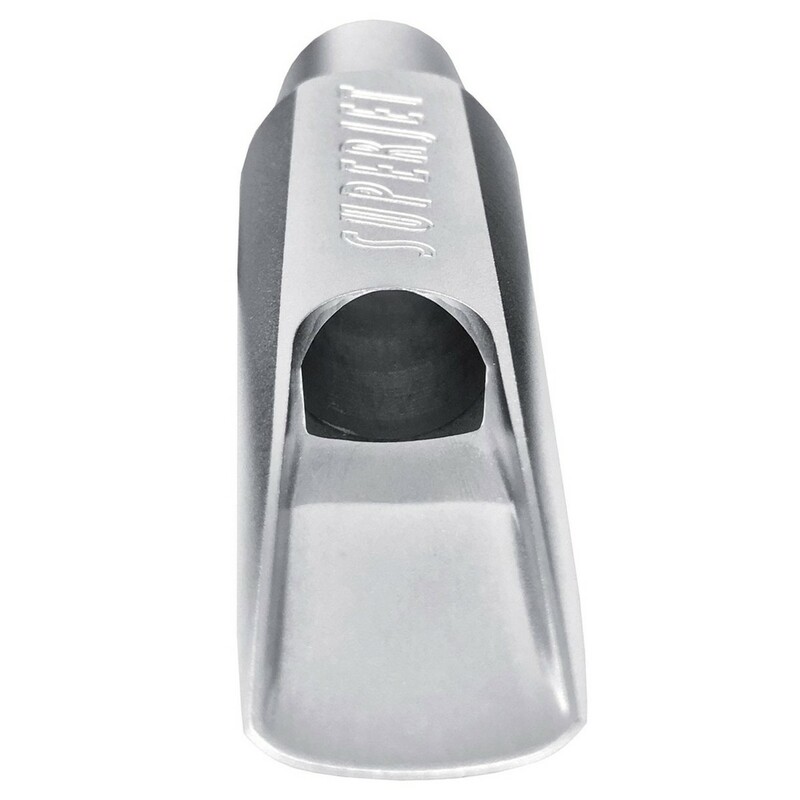 Thanks to the shorter facing found on the Super Jet mouthpiece, you will find that you can hit altissimo notes that just weren't an option before. Despite the Super Jet's insane power, it can also play very softly will lots of nuance and personality. This type of versatility and control is not often found in small chamber mouthpieces. JodyJazz was founded by Jody Espina and has grown to be one of the leading designers and producers of mouthpieces for saxophones and clarinets. With the use of 3D modelling and crafted using CNC multi-axis machines, the mouthpieces are finished by hand and play tested by Jody Espina or by another professional saxophonist. This ensures that each mouthpiece has a perfect seal with the reed and that it responds accurately throughout the range of the saxophone.